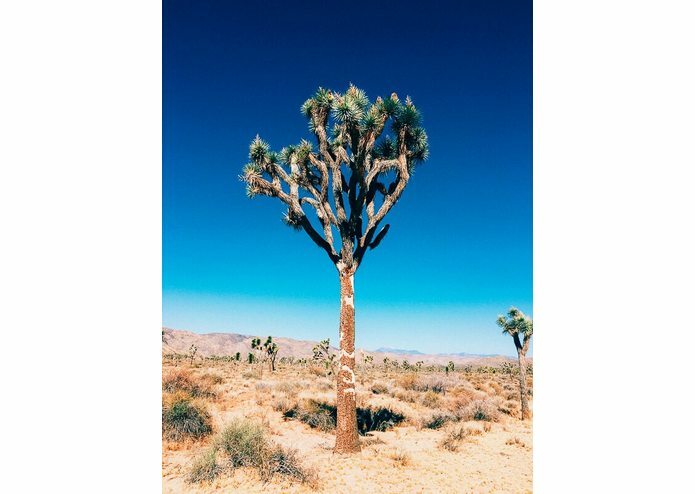 We heard the story about a Joshua Tree being cut down recently because of the shutdown-related cutbacks. We thought there must be a better way to mobilize volunteers and assist park rangers. Volunteers and rangers are able to text photos of trash and vandalism to a phone number. We then analyze the photo to confirm it contains vandalism or excess trash. 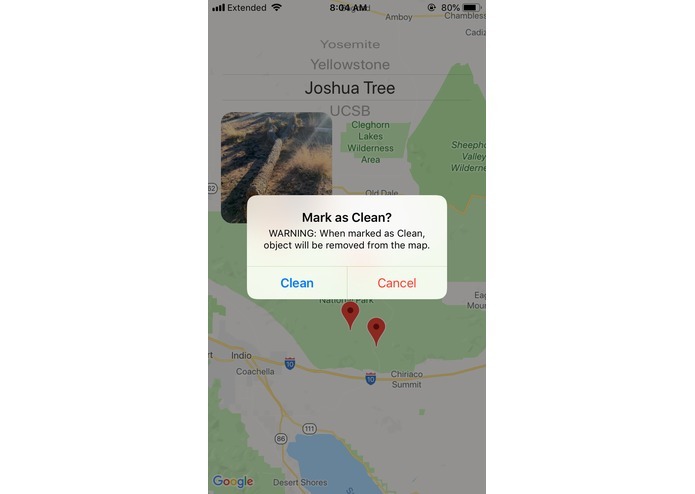 These photos and coordinates are then loaded into our iOS app that contains a map where users can find locations in need of cleanup. 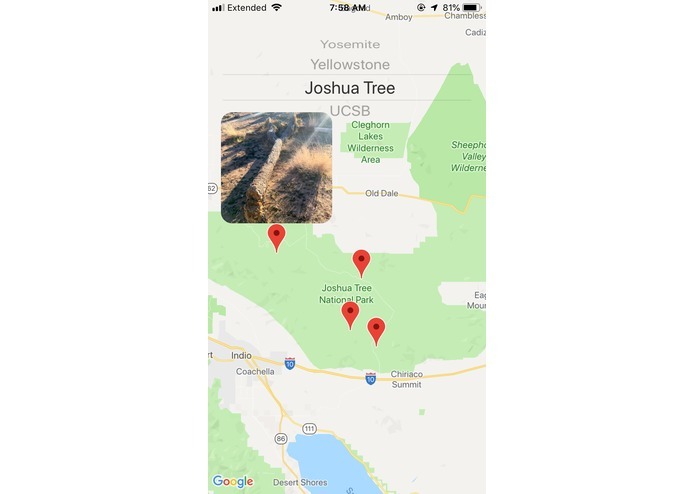 We used the Twilio API to receive photos and Google Cloud Vision to analyze and classify the images. All of the photos are stored in Google Cloud Storage and the location data in Google Datastore. 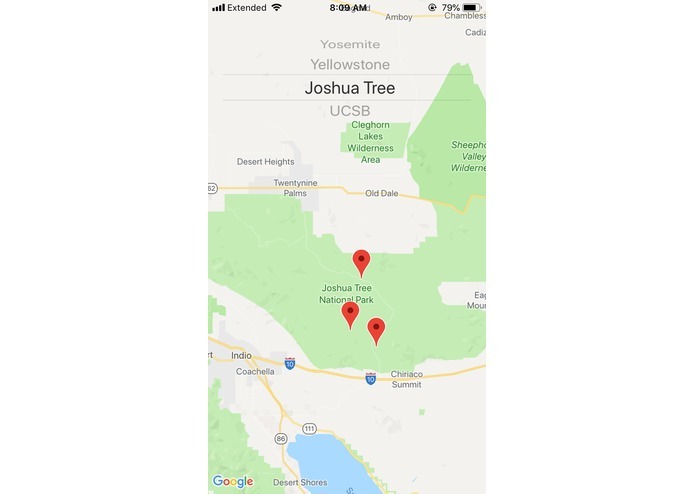 Finally, the iOS app, interfacing with the Google Maps API, connects to a node REST server for basic CRUD operations on the locations and photos. 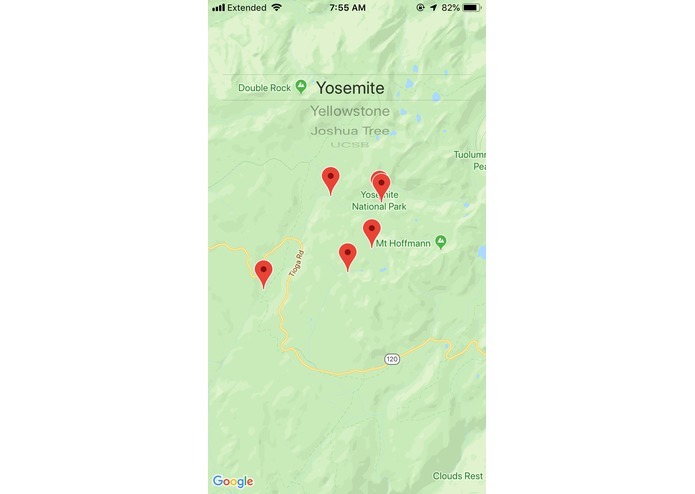 We think this could be a valuable tool for park rangers and those who care about preserving the United State's natural parks and resources. We would like to utilize drones to take aerial photos of the national parks. Then, using computer vision identify vandalizes areas or excess trash. 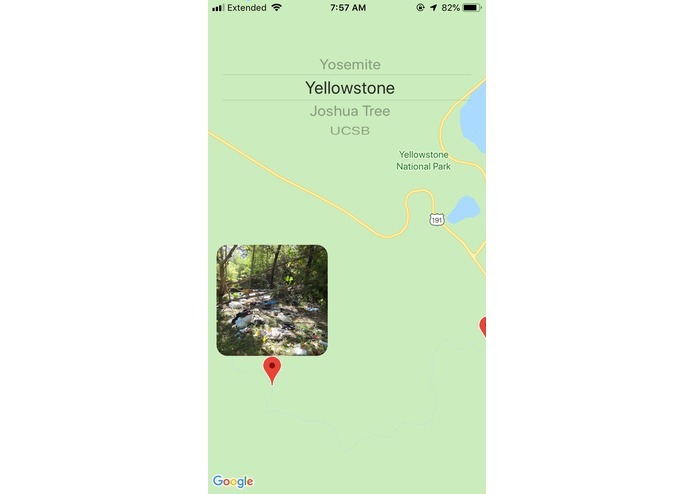 Additionally, we would love to utilize the national park service's API to support more national parks and at greater detail. I implemented Google's Machine Learning Cloud Vision API in Python to classify and label our input images. I also interfaced Google's Cloud Datastore and Browser Storage through Google's Cloud Functions, which also automatically ran my Python script. Created a REST server with node that performs basic CRUD operations on the locations and photos stored on GCP. Helped Mani and Aahad interface with GCP to properly store photos and location information. I worked on the iOS frontend of the project. I spent a lot of time on the Google maps API and smoothing out the custom views and controllers. Worked with Aahad to help implement the backend that interacts with the Twilio API and the Google Cloud Platform. The backend is built using Node.js and allows users to submit photos and coordinates, which are then saved to Google Cloud Platform. I worked with Mani on the backend using node.js- helped integrate the Twilio API with the Google Cloud Platform to allow users to text in their photos, which are then uploaded to the cloud.